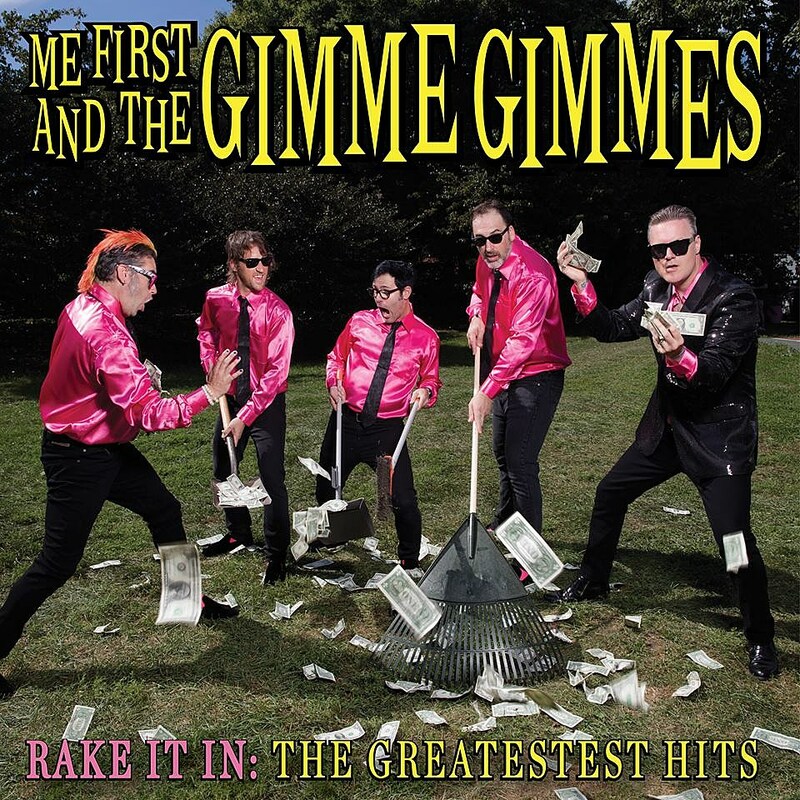 Everyone’s favorite pop punk cover band, Me First and the Gimme Gimmes, are releasing their greatest hits album Rake It In this Friday (4/7) via Fat Wreck Chords (pre-order). The band — which includes NOFX’s Fat Mike, Lagwagon’s Joey Cape and Dave Raun, Foo Fighters/No Use For A Name’s Chris Shiflett, and Spike Slawson (ex-Swingin’ Utters) — have dug through their discography and chosen their takes on “Country Roads,” “Jolene,” “Uptown Girl,” “I Believe I Can Fly,” and more. You can now listen to a stream of the whole album below. The Gimmes are also touring, though the touring lineup has Fat Mike replaced by Bad Religion’s Jay Bentley and Chris Shiflett replaced by his brother Scott (of Face to Face). The tour has a run with Masked Intruder and PEARS, which hits Asbury Park on April 22 at The Stone Pony and NYC on April 22 at Webster Hall. Tickets for those shows are still available. The Asbury Park show is part of the annual Asbury Park Music & Film Festival. The tour also includes a leg with together PANGEA opening. All dates are listed below. Bad Religion and Face to Face also have their own upcoming shows this year. Fat Mike will be in Asbury Park with NOFX for Punk Rock Bowling. Chris Shiflett will be on tour with Foo Fighters this year.